Near the Eisenhower House, Newport RI. Painting with Sadhbh and Sophia, complete with picnic and post-painting critique! 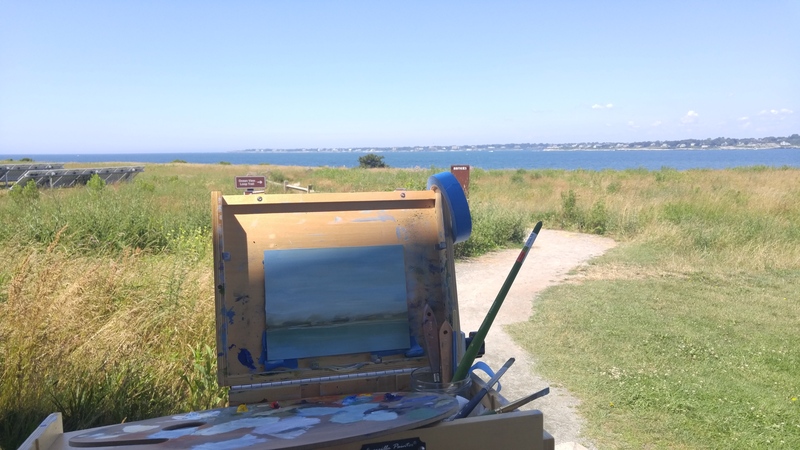 On this over-cast day, I painted with Dan at Beavertail Lighthouse, in Jamestown. 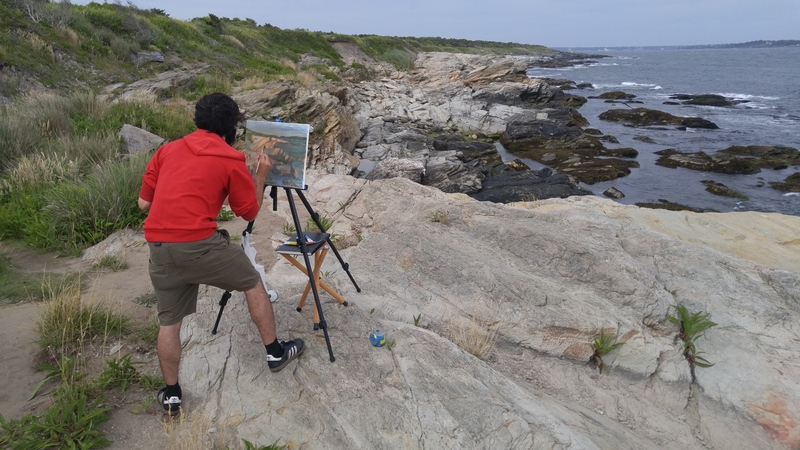 Dan rocked his first Rhode Island rocky sea-scape. Sachuest Wildlife Refuge has never disappointed – it was as lovely as ever! 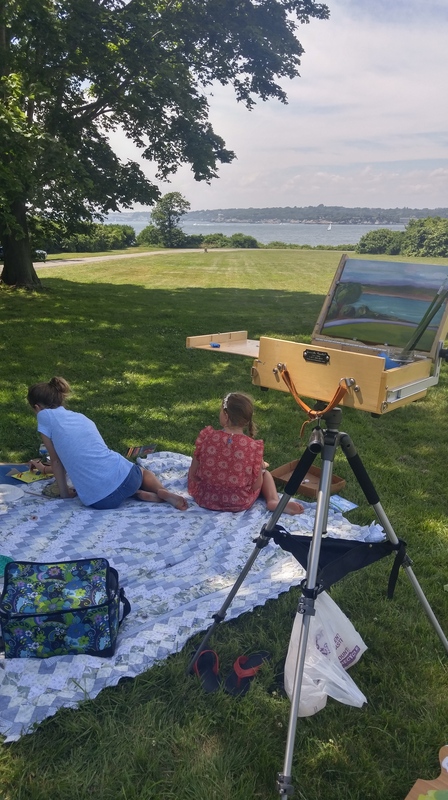 Painting in an en plein air masters class with David Barnes via NAM. 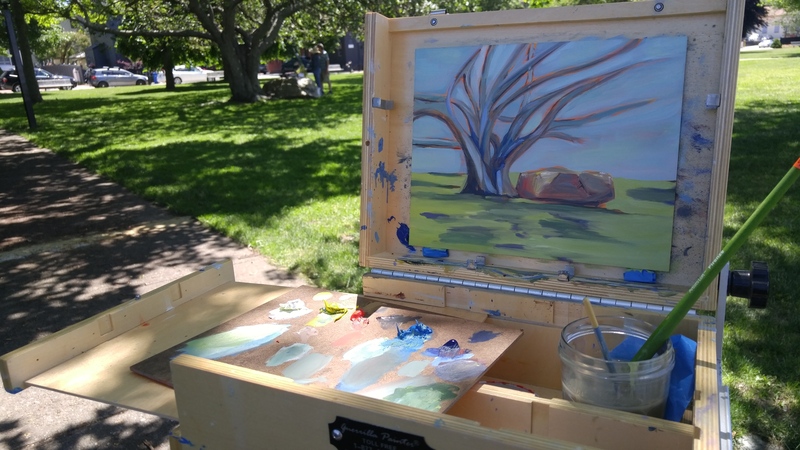 Storer Park off Washington Street on the point was gorgeous as I worked on a modern piece in the style of (some old guy)… 😉 thanks to NAM’s David Barnes for the pre-painting en plein air masters focus for the day! I loved this finished piece. New level here. Gorgeous work!